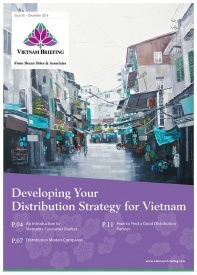 We provide introductions to all of these regions in the May issue of Vietnam Briefing Magazine, titled “Vietnam’s Provinces, Regions, and Key Economic Zones,” which is temporarily available as a complimentary PDF download on the Asia Briefing Bookstore. Coasts have each attracted roughly half of the FDI that has flowed into the Red River Delta, followed by the Mekong River Delta, with the Central and Northwest attracting little FDI. But the patterns of FDI inflows into Vietnam are changing, with formerly ignored provinces receiving increasing attention. The Northern KEZ covers eight provinces and municipalities: Hanoi City, Hung Yen Province, Hai Phong City, Quang Ninh Province, Hai Duong Province, Ha Tay Province, Bac Ninh Province and Vinh Phuc Province. Under the 2004 economic plan for the Northern KEZ, the government aimed to leverage the area’s plentiful agricultural manpower for economic growth. As part of this, the Prime Minister ordered the establishment of industrial parks and high-tech zones to significantly improve the region’s infrastructure, a key ingredient for attracting foreign investment. One of the most prominent industrial parks today is Vietnam-Singapore Industrial Park in Bac Ninh Province, in which Nokia announced plans in April 2012 to establish its largest facility in the region to manufacture mobile phones. The facility, with an initial investment of US$300 million, is expected to be operational in 2013. 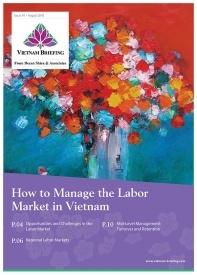 The Southern KEZ includes Ho Chi Minh City, Binh Duong Province, Ba Ria – Vung Tau Province, Dong Nai Province, Tay Ninh Province, Binh Phuoc Province and Long An Province. The 2004 economic plan for the Southern KEZ focuses on the development of commerce, exports, telecommunications, tourism, finance, banking, services, technology as well as culture and training. The South, a major contributor of national GDP, has been designated as the leader in the industrialization and modernization of the whole country. Specifically, the plan aims for the Southern KEZ to push ahead in oil and gas exploration and electricity generation. Although Vietnam began its oil and gas exploration only a few years ago, it has now become the third largest oil producer in Southeast Asia. In agriculture, the plan aims for the area to develop industrial crops, such as rubber, coffee, cashew nuts, sugarcane and industrialized animal husbandry, in order to enhance the region’s role as a major Southeast Asia commodities hub. The plan also includes upgrades to national highways, seaports, airports and the urban communication system of the region. In fact, most major Vietnamese ports and the country’s largest airports are already in the Southern KEZ, including Tan Son Nhat International Airport, the new Long Thanh Airport (which will become operational by 2020), Saigon Port and the Vung Tau – Thi Vai Port Complex. 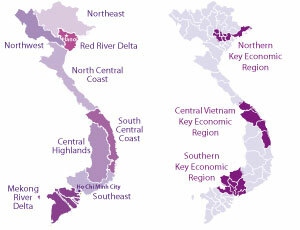 The Central Key Economic Zone covers four provinces: Thua Thien Hue Province, Quang Nam Province, Quang Ngai Province, Binh Dinh Province and Da Nang City. The 2004 economic plan for the Central KEZ aims to ensure the region’s role as Vietnam’s “growth nucleus,” which would boost development in the Central Highlands. Advantageous industries, such as the marine economy, are to be vigorously promoted in the region. In the future, the region is expected to attract investment in sectors including oil and gas, shipbuilding, logistics, coastal tourism development, and high tech industries. 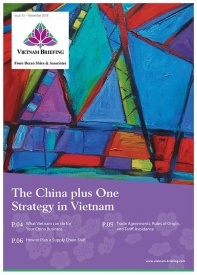 Material for this article was taken from the May issue of Vietnam Briefing Magazine, titled “Vietnam’s Provinces, Regions, and Key Economic Zones,” which is temporarily available as a complimentary PDF download on the Asia Briefing Bookstore. 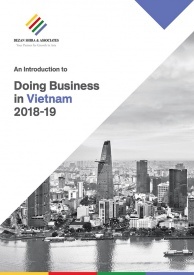 In this issue, we discuss the industries and economy of Vietnam’s three levels of geographic divisions from the perspective of a potential foreign investor. 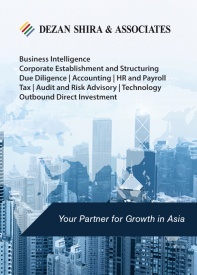 Dezan Shira & Associates is a boutique professional services firm providing foreign direct investment business advisory, tax, accounting, payroll and due diligence services for multinational clients in Vietnam. 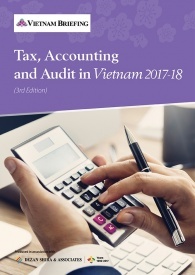 For further information and clarification on Vietnam’s international taxation agreements – please email vietnam@dezshira.com.